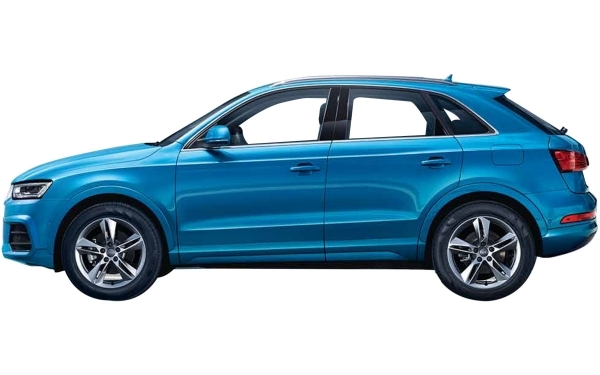 Audi has unveiled the Q3 which comes with a new design that makes it the real eye catcher and highlights its distinctive SUV character. This urban SUV is powerful on any road or tack. 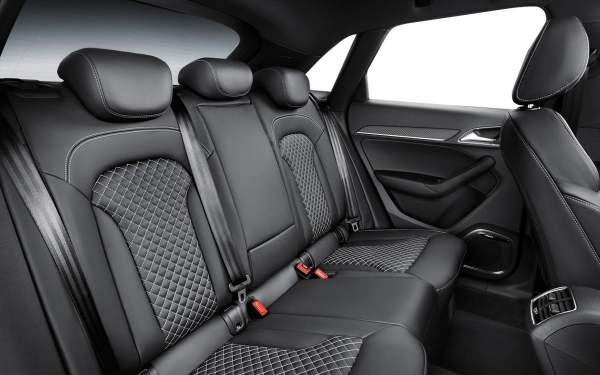 It comes with a refined interior with wooden trims and leather upholstery. Its Premium Plus diesel variant comes with the all-wheel drive. 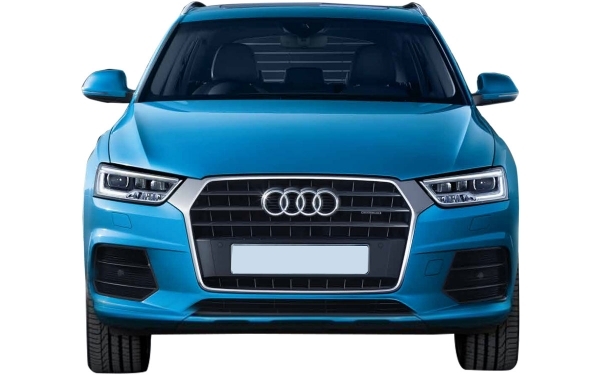 1.4 litre TFSI petrol and 2 litre TDI diesel engine options are available in seven speed S tronic dual clutch transmission that provides sportiness with fuel efficiency. 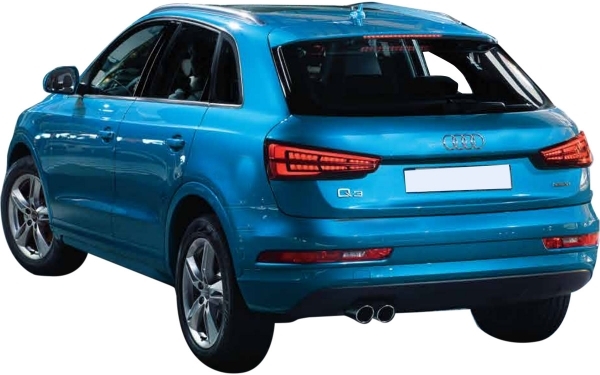 Audi Q3 with its recognisable silhouette maintains the coupe like appearance. The design features like 3D grille, chrome plated tail pipe make it even more eye catching. It comes with aluminium roof rails, window trims, contrasting paint finish and body colored door mirror housing. Electronic panoramic glass sunroof emphasizes the vehicle design and provides a unique feeling of space as well. All weather LED headlights with DRLs and LED rear lights with dynamic rear indicators optimise road illumination and enhance the look. Audi Sport cast aluminium wheels with 5 twin spoke design make it stylish. 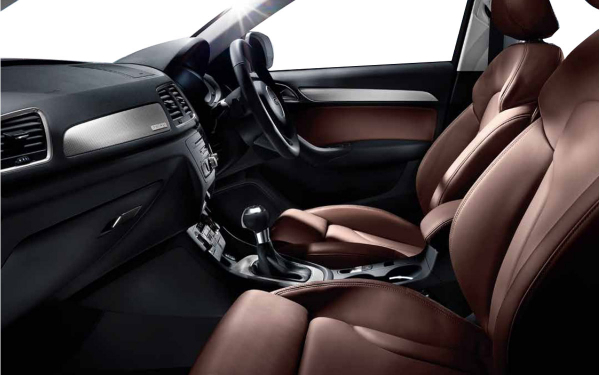 Spacious interior is made unique with leather upholstery, 4 spoke multi-function steering wheel and gear knob with leather covering, front seats with lumbar support, front centre armrest are given for premium look. Aluminium door handle trim, door sill trims with aluminium inlays and LED interior light package make it stylish. Storage compartments are given in the front and centre console along with the illuminated glove compartment. 12V power socket is given in the centre console. 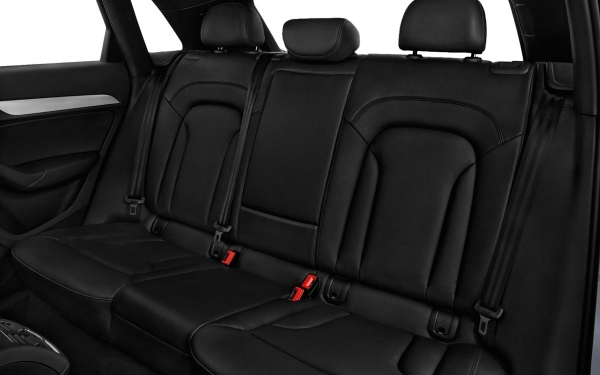 Electrically adjustable front seats and folding rear seats enhance the convenience. Advanced technology is implemented for additional comfort and convenience. The MMI navigation provides access to 3D map view to guide you easily. A high resolution 17.78 cm color display in the instrument cluster provides key information regarding the vehicle. 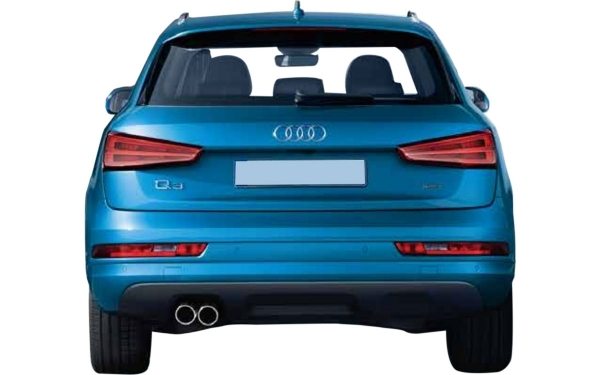 Audi parking system ensures easy parking with reverse parking sensors with camera. The safety features include, full size airbags, ABS with EBD, traction control, electronic differential lock, electronic stabilization control are given with integrated head restraint system; in which the design of the seat restrains the upper torso and supports the head. 3-point inertia reel seat belt for all passengers and seat belt reminder enhance the protection. The 1968 cc TDI 4 cylinder in line diesel engine produces maximum power of 110kW at 3500 rpm and maximum torque of 340Nm at 1750 rpm. It comes with 7 speed S tronic transmission. The 1395 cc TFSI 4 cylinder in line petrol engine produces maximum power of 110kW at 5000 rm and maximum torque of 250Nm at 1500 rpm. It is mated to 6 speed S tronic transmission. Both have front wheel drive only. We get another variant in 1968 cc TDI quattro which produces maximum power of 135kW at 3500 rpm and maximum torque of 380Nm at 1750 rpm. It offers four wheel drive and is mated to 7 speed S tronic transmission. Length: 4388mm, Width: 1831mm, Height: 1608mm, Wheelbase: 2603mm, Ground Clearance: 170mm and it has 2225kg of Kerb weight. 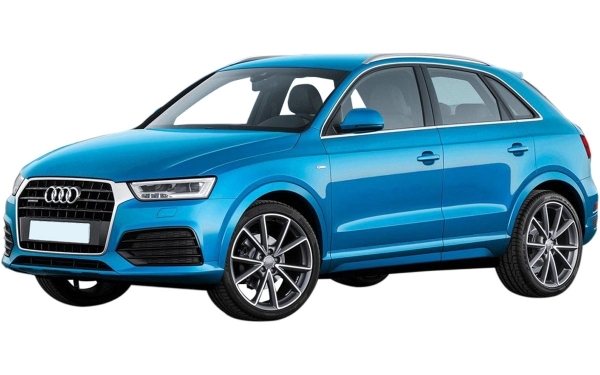 Misano Red, Cortina White, Hanian Blue, Floret Silver Metallic and Mythos Black are the colors given to Q3.